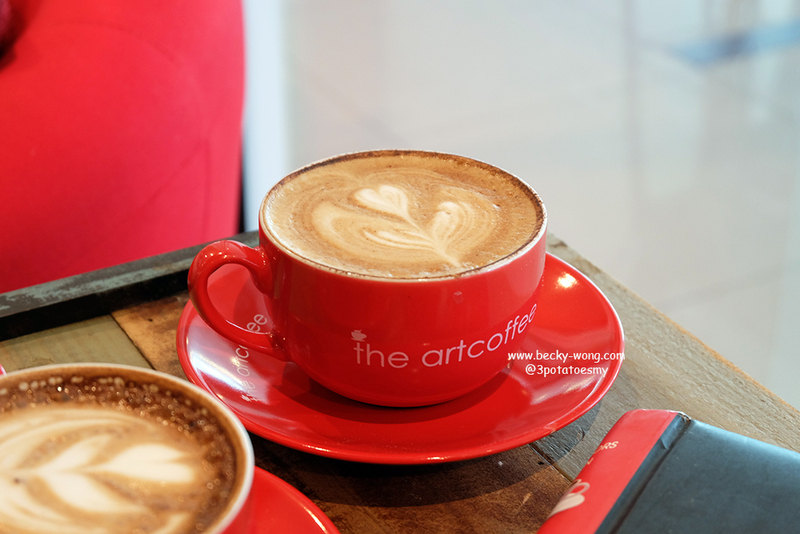 Just few months ago I came across the name the artcoffee in Kota Damansara and they have now relocated to the happening Nexus Bangsar South. 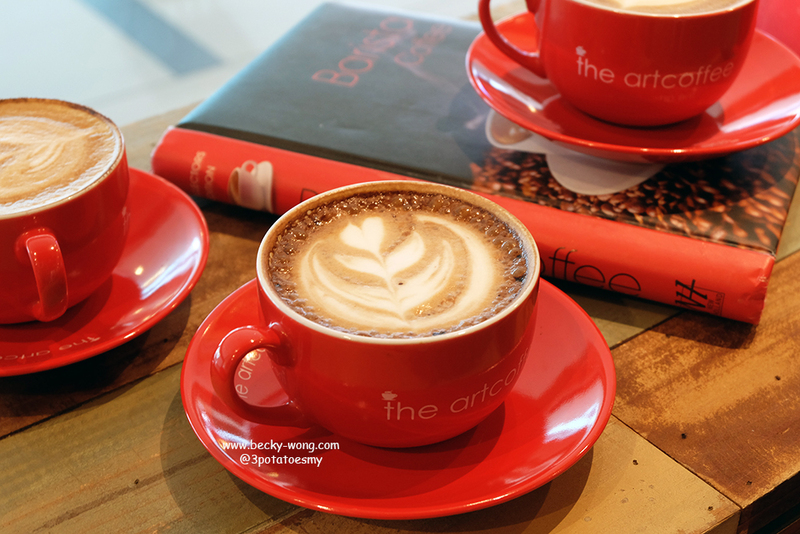 Located on the 1st floor of Nexus, the artcoffee has a cosy and comfortable ambiance. The interior is modern and stylist. 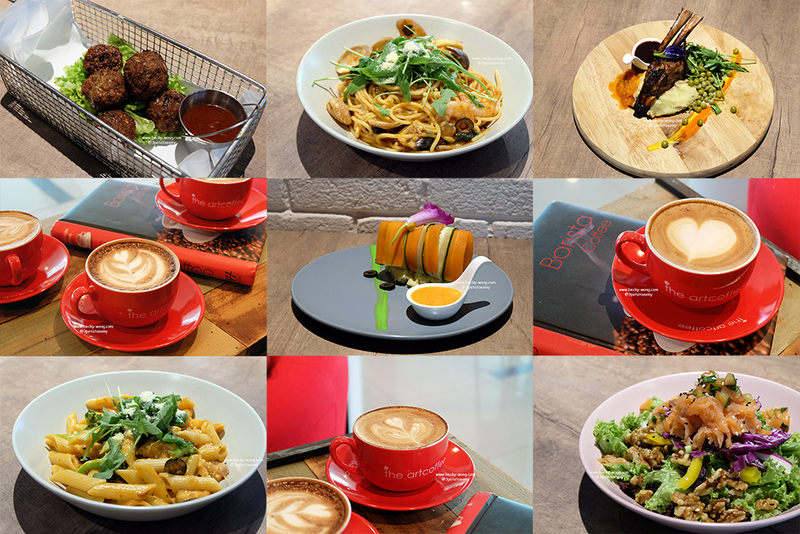 With their relocation, the artcoffee has also added a few new dishes into their menu, to satisfy the needs of the office crowd in the area. 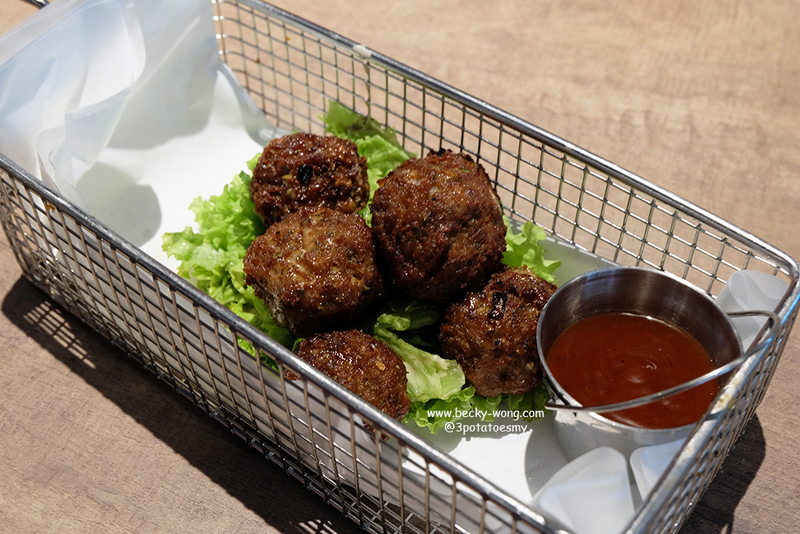 Meatball is Love - RM 15 (6pcs) | RM 18 (9pcs). These homemade meatballs are juicy and well-marinated, served with smoky BBQ sauce. Perfect! 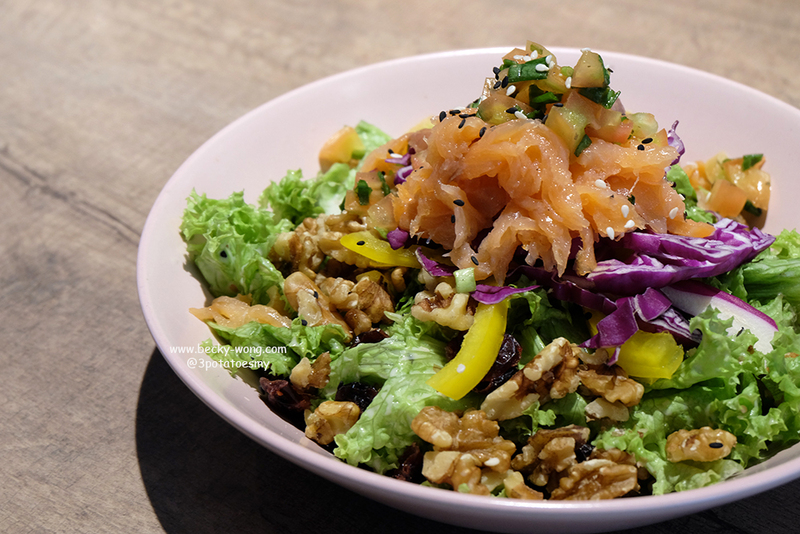 Smoked Salmon Salad (RM 16). I just thought the salad is simply beautiful with its vibrant colour of smoked salmon, sliced purple cabbage, capsicum, tomato salsa, walnut, dried cherry, and sesame seeds dressing. The salad is the perfect option for eating clean yet not compromising the flavours and texture. Soup for the Soul (RM 13). 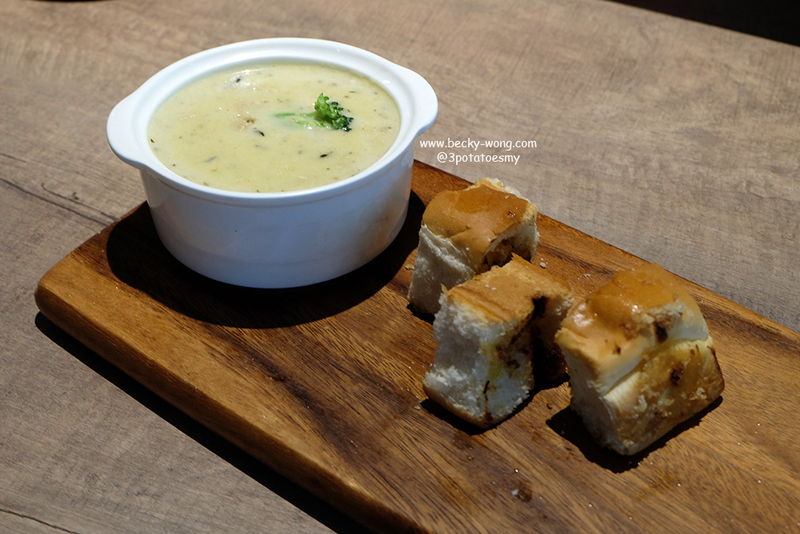 A bowl of classic chicken and broccoli soup perfect for cold rainy day. Captain's Order (RM 43). 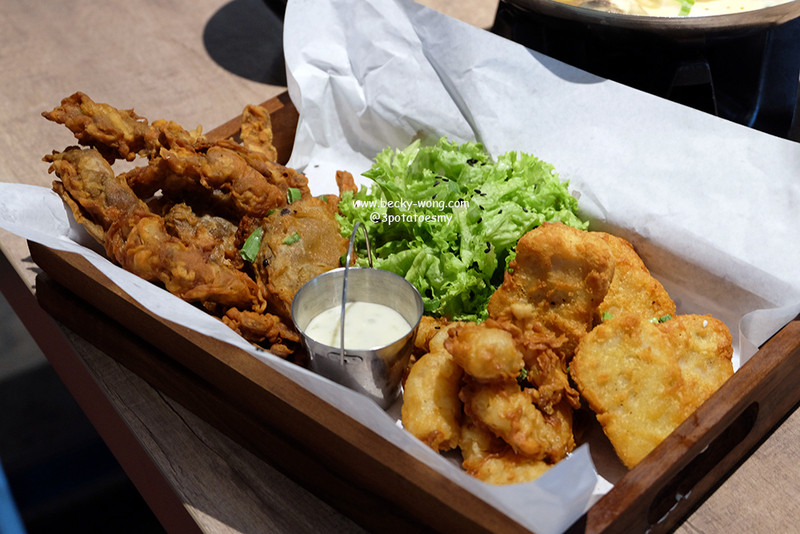 A platter of soft shell crabs, tempura prawns, creamy sauce on top of clams, shrimp and squid and salad. 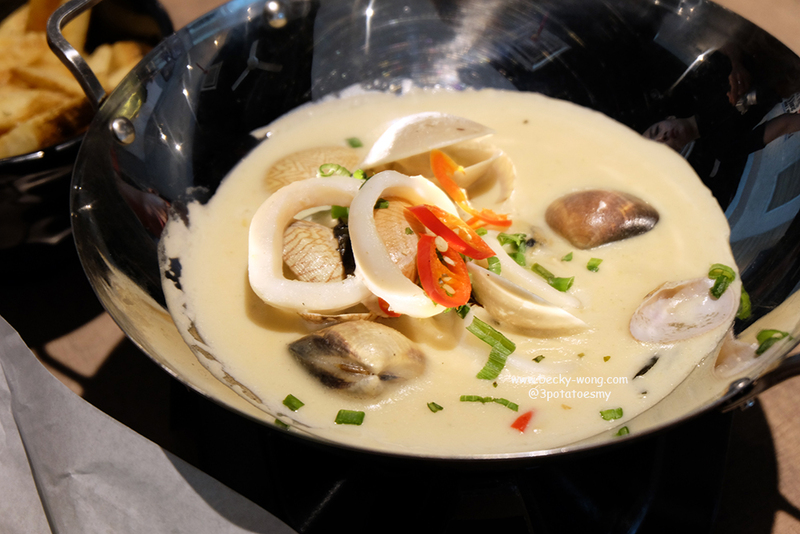 The rich and thick creamy sauce was definitely a crowd-pleaser, and goes well with the crispy elements in the platter. 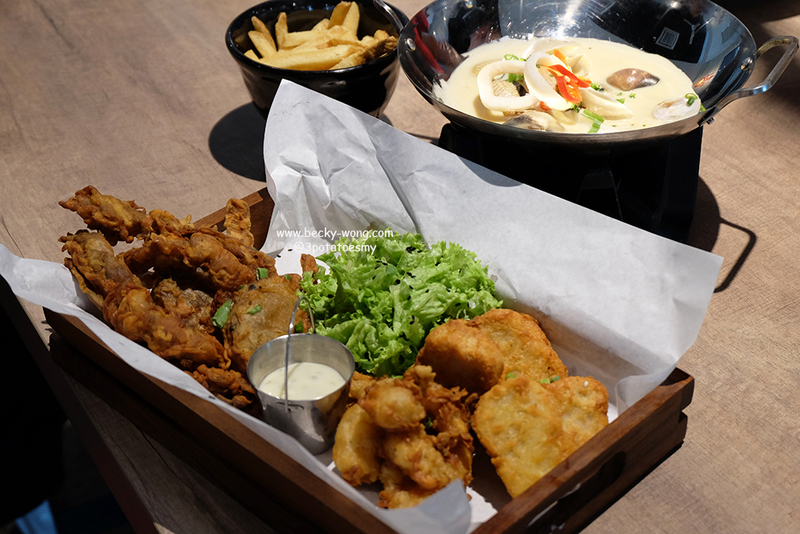 There are 3 sets of Sharing Platter and each of the set comes with soup of the day, 2 choices of side dishes, and drink of the day. Smoked Salmon Napoletana (RM 25). 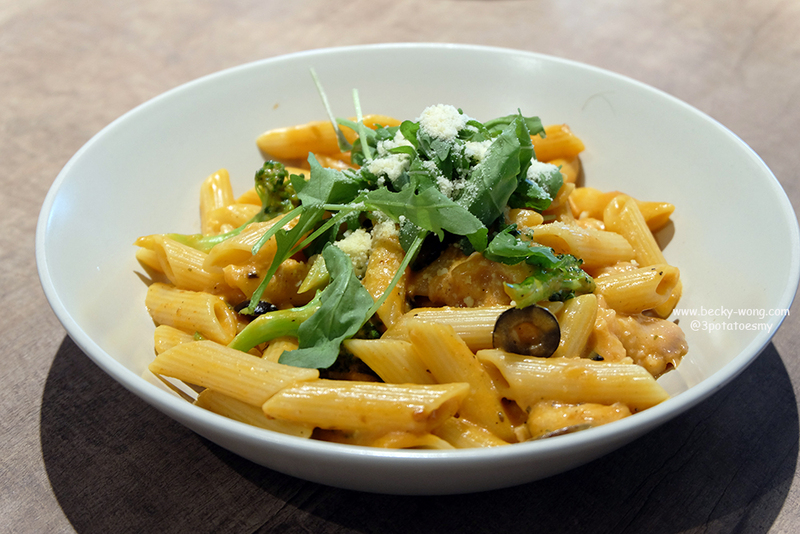 A hearty bowl of penne served with smoked salmon slice, basil, garlic, cream, tomato coulis, broccoli floret, and button mushrooms. Seafood Marinara (RM 23). 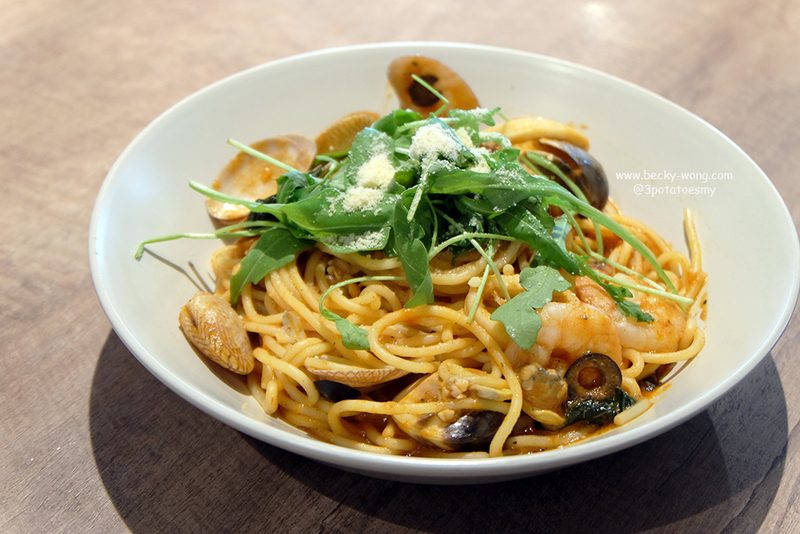 Seafood lovers, you wouldn't want to miss out this bowl of pasta that is loaded with prawns, clams, and squid. Chicks (RM 28). Baked boneless chicken legs, stuffed with carrot, spring onion, mushroom paste and Mozzarella, on top of yellow-spiced potatoes, served with Chef's signature sauce. Another pretty looking dish. If you are love chicken, you should probably try this out. 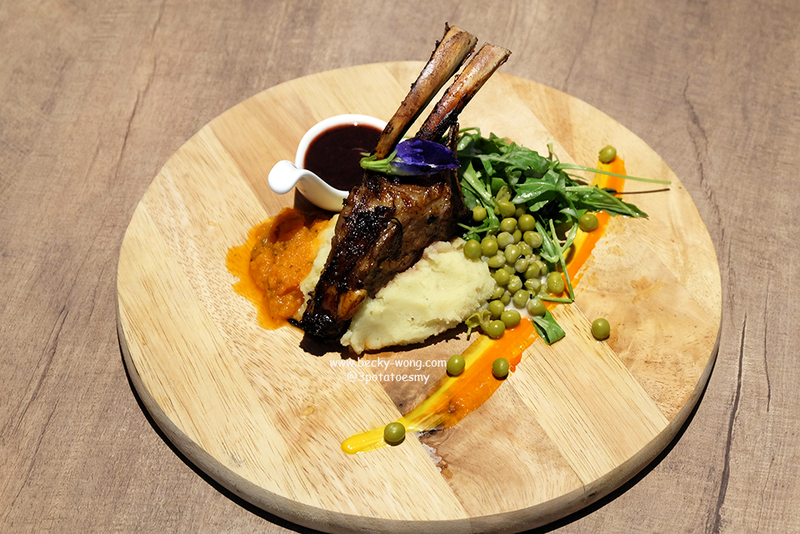 Herbs-baked Lamb Rack (RM 45). Served with carrot puree, cherry tomatoes and chick peas, on top of garlic-mashed potatoes with cherry sauce on the side. The lamb rack was well-marinated and tender, but I would prefer it to be done medium-rare. Also, I thought the portion could be a little bigger. 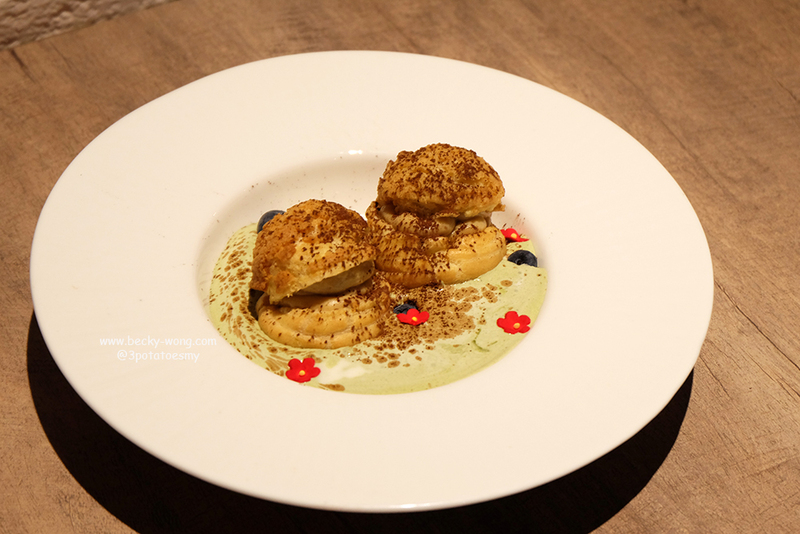 Dessert of the Day - Japanese Profiteroles with Green Tea Ice Cream. Bored of the usual cakes and desserts? 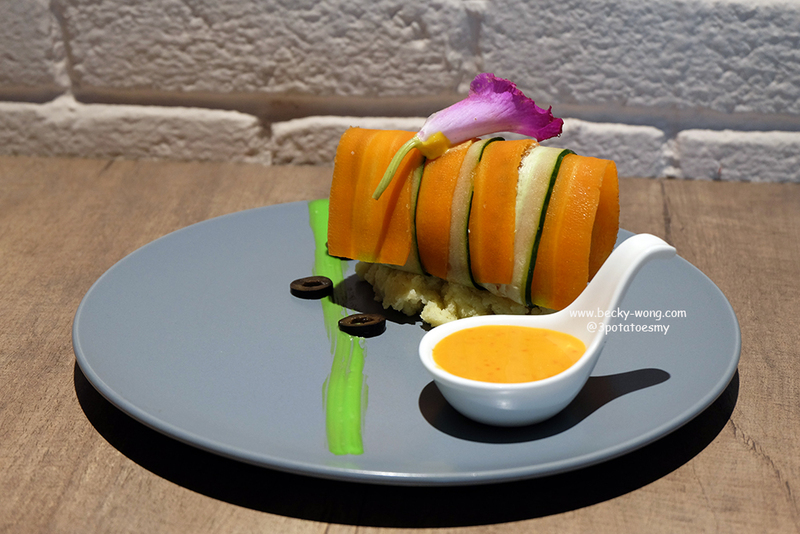 Let the artcoffee with their "Dessert of the Day", which they will have different dessert every day. During our visit we had the Japanese Profiteroles, and I like the coffee custard fillings. Imperial Darth Vader (RM 15). 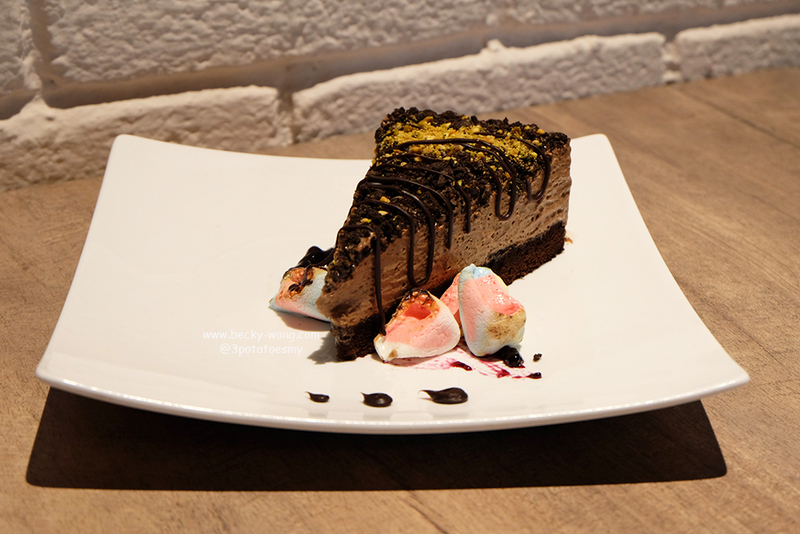 A slice of smooth and chocolaty cake for the chocolate lovers. Caffe Mocha (RM 15). A nice balance of cocoa and coffee. 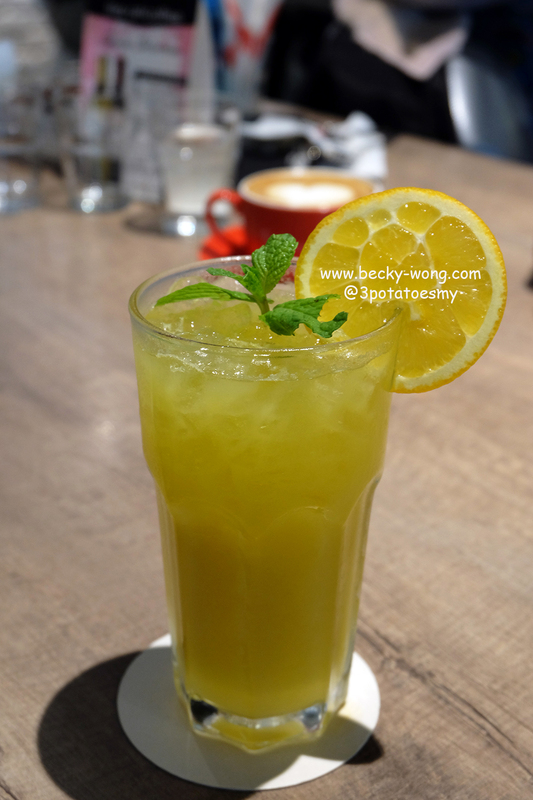 Orange Sunrise (RM 15). Made from 100% pure orange, the Orange Sunrise is for those who are looking for something fresh and refreshing at the same time. Autumn Sour Plum (RM 13). 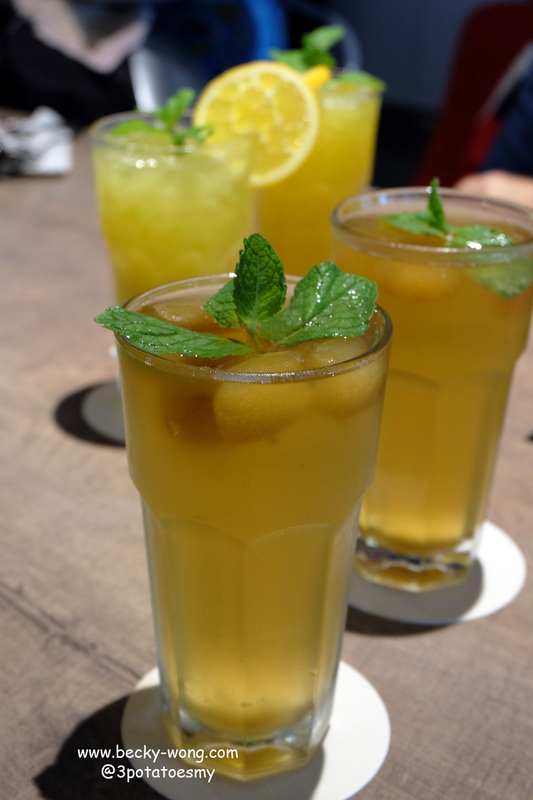 A glass of fizzy and refreshing combination of sprite, sour plum cube and mint leave. 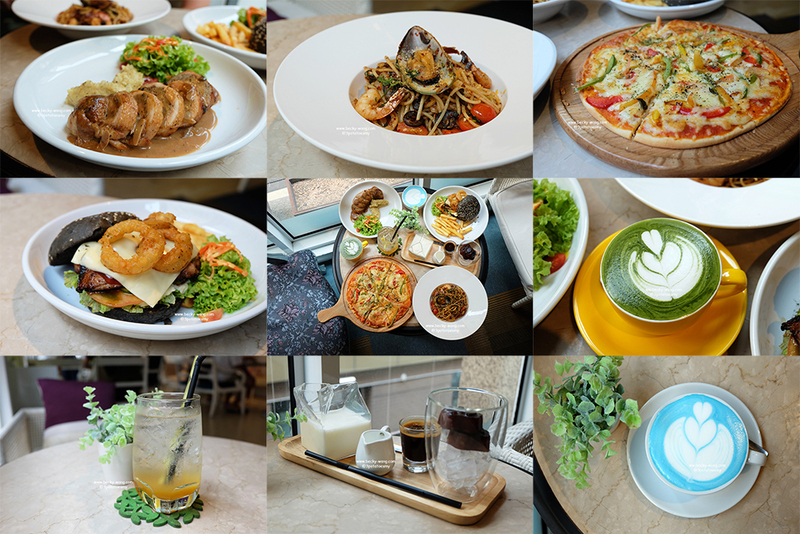 Overall, the food at the artcoffee is really good. My personal favourites would be the sharing platter, pasta and salad. 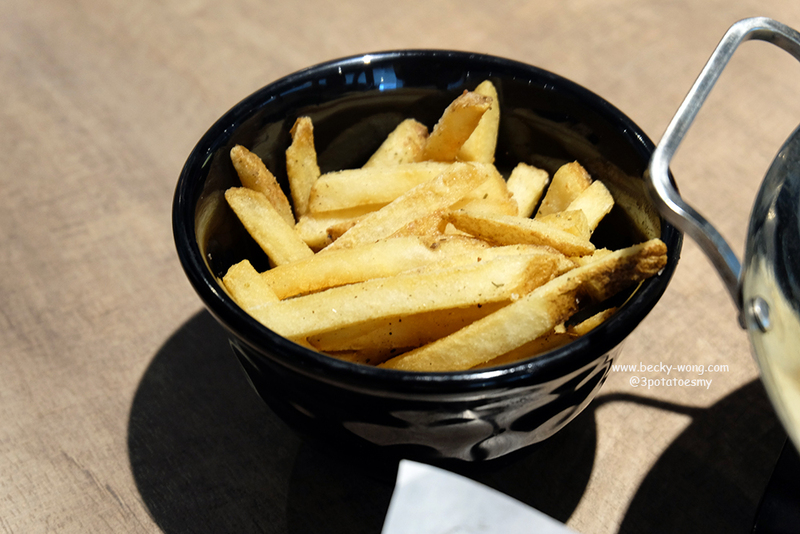 We had a chat with the chef and found out that they try to incorporate local flavours and/or ingredients into their menu. 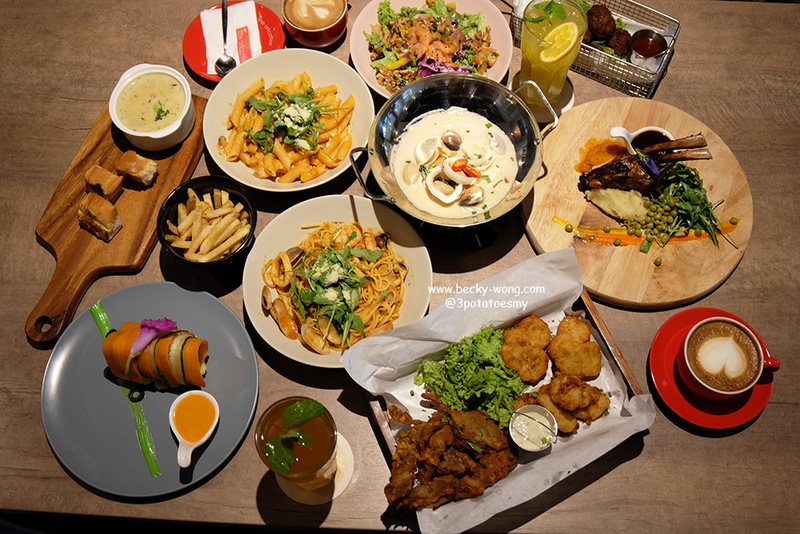 Though there are quite a number of eateries in Bangsar South, but many of them are either pubs or some drinking place. 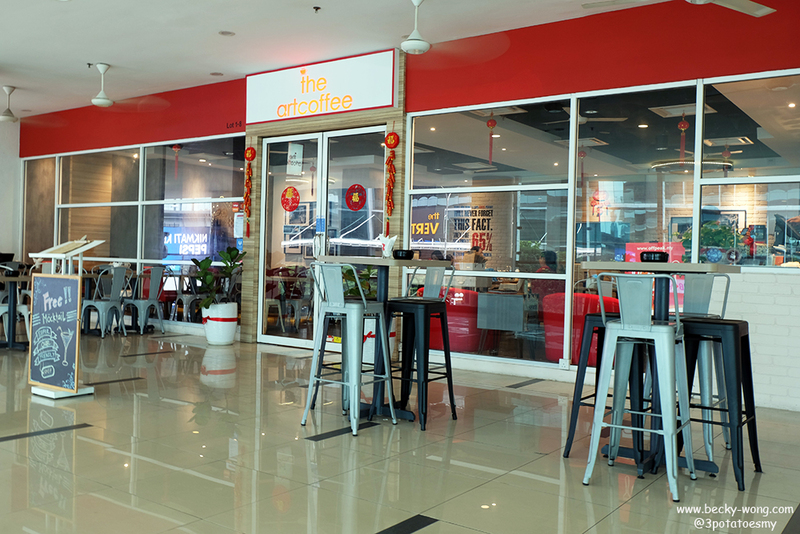 If you are looking to have a meal in a quieter environment, the artcoffee would be a perfect choice - especially for dinner and over the weekend! 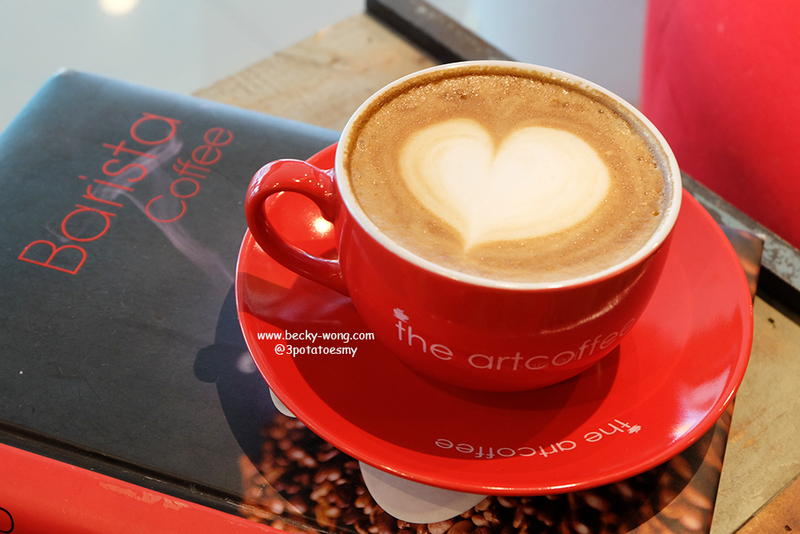 For more updates on the artcoffee, check out their Facebook and Instagram.